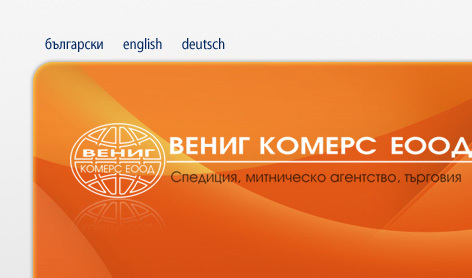 "Venig Commerce" Ltd. is a Bulgarian forwarding company, established in 2004, having its seat in Sofia. Venig Commerce Ltd. provides for international and domestic transportation of goods and loads to the neighbour countries /Greece, Romania, Turkey/, as well as to the countries of the European Union. Our goal is to serve you in the fastest and most efficient manner, in compliance with you requirements, so the load reaches you or your recipient intact and on time.